Municipal officials are seeking $175,00 in grant funds from the Passaic County government to revive the Ivanhoe Wheelhouse at the Great Falls. Funds will be used to rehabilitate the exterior of the historic 19th-century building on Spruce Street. Last time the small industrial building was rehabilitated was in 1986, according to city records. 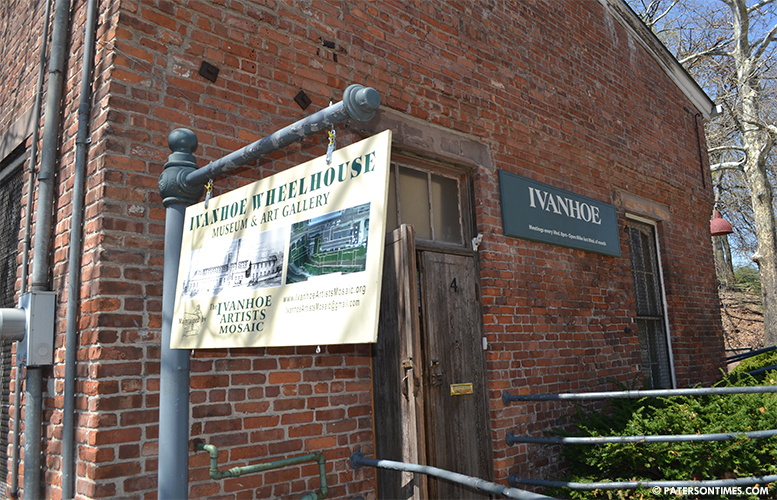 Ivanhoe Wheelhouse has been closed to the public since mid-2015. A dispute between two art groups prompted the city to take control of the building through court proceedings. Since then, the building has been vacant. There were talks of reusing the building as an interpretation center for the raceway system and water power at the Great Falls National Park in late 2015, but there was little movement and the building remained closed. In 2018, a proposal was circulated to have a private vendor lease the building and use it as a café for visitors. Municipal officials plan to lease the building to a vendor to operate a café once the exterior is rehabilitated. The vendor will be responsible for making interior improvements. The City Council approved a measure to seek county open space funds to rehab the building. A second open space application for $250,000 was approved for the revitalization of walking paths and passive recreation amenities throughout Eastside Park. Similarly, the council approved an application to seek $100,000 for the Valley of the Rocks Trail at the Great Falls from the state Green Acres program. Funds, if awarded, will be used to improve the existing trails by cutting back brush, removing dead and fallen trees, removing trash, and rebuilding existing foot trails and wood steps in the area. The Green Acres grant requires a $50,000 match. A 20-year zero-interest loan is available from Green Acres for the match, according to city records.